A new tech was introduced in iPhone X, iPhone 8 and iPhone 8 Plus, their glass bodies, which let the iOS devices charge wirelessly by using the Qi charger. Now, with apps like Google Maps, Waze, Uber (for drivers) and more, uses navigation. Therefore, many users use these navigation apps to travel long and short distances. Many of them prefer to place their smartphones on their windshield or dashboard and are able to see the maps. However, doing so can deplete the battery of your iOS device much faster. Therefore, the wireless car chargers for iPhone X, iPhone 8 and iPhone 8 Plus are the next best gadget. 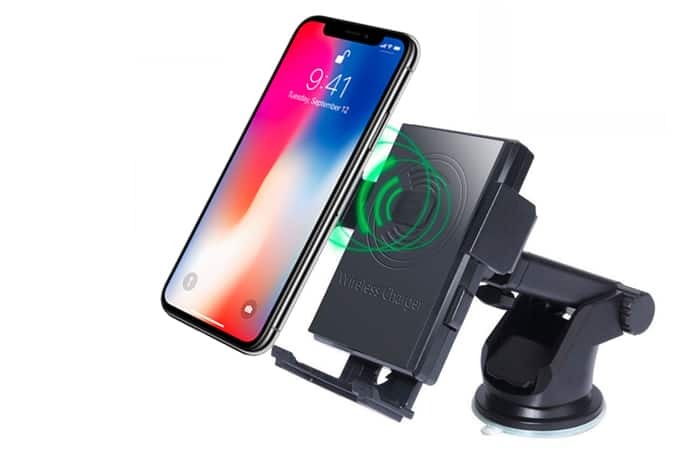 Now, these wireless car mount chargers helps you to keep your iPhone stable and easy to view. But they will also charge them up during your long travels. 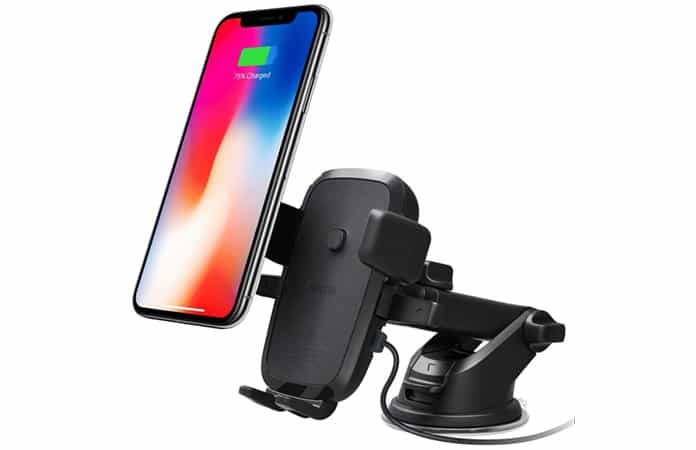 So, check out these wireless car chargers for iPhone X, iPhone 8 and iPhone 8 Plus. 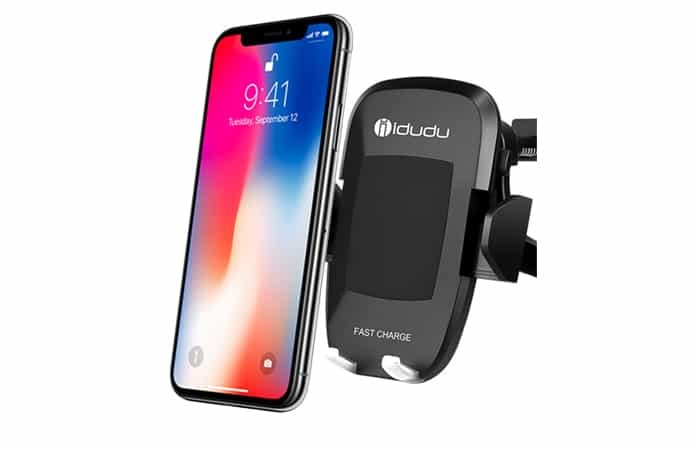 iDudu can be mounted on your car’s air vent. It offers fast Qi wireless charging, which is best for short travels and you need the maximum charge for your iPhone. You just need to place the iPhone on the mount for it to begin charging. The base of the wireless charger is able to rotate 360 degrees. Additionally, the mount comes with two USB ports for charging as well. For safety issue, the mount also has temperature control in it, which constantly checks sign for over-heating. Nillkin wireless mount charger has a magnetic support for the iPhone. Use its 3M adhesive to mount to any deck or window surface. You can set your iPhone into optimal view with its 360 degree rotation ball. Moreover, the mount has two blue light indicators that tell you the status of the charge. The Fstop Labs wireless mount charger can be placed in multiple locations, like the windshield, car deck and the air vent. 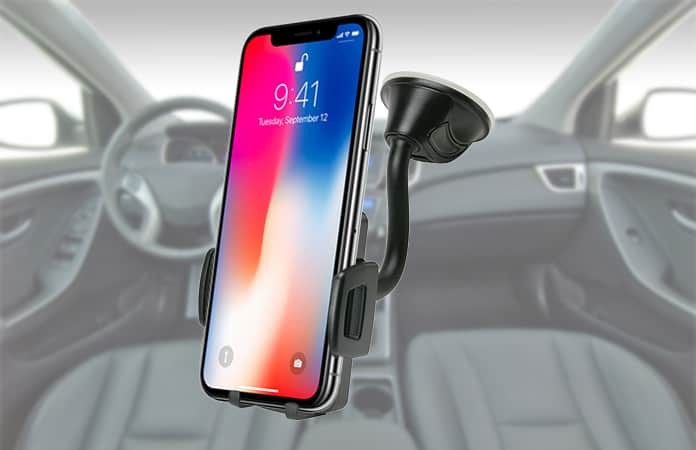 Like the many other wireless car chargers for iPhone X, Fstop allows the user to rotate the base 360 degrees. With its three side support, the iPhone can be safely secured. 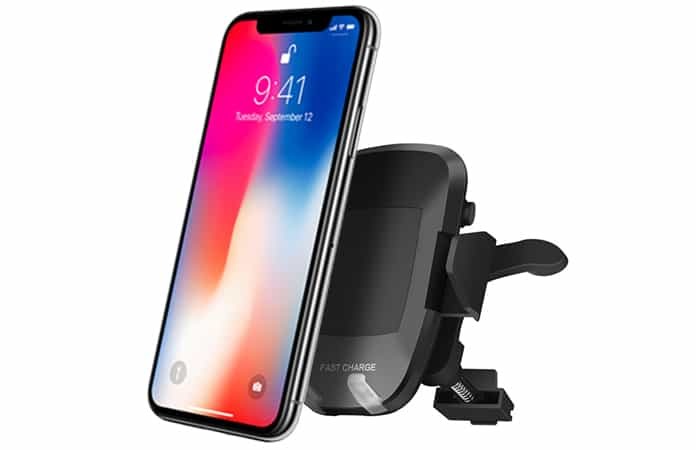 The iOttie Qi wireless car mount charger is a fast Qi wireless charger for iPhone. Hence, it will charge your iPhone 40% faster than the normal Qi charger. The mount is made of a solid telescopic arm, which can increase its size from 4.9 inches to 8.3 inches. This mount is also able to change its position because it is slanted at a 225 degree. You can mount the iOttie Qi with its suction pad, and a sticky gel. It offers a secure grip, also it can lock and release the iPhone with one-touch. Now, the Neotrix wireless mount charger can be placed on the car’s air vent using magnets. It uses the magnets to have a tight secure grip of your iPhone and will keep it intact. It also, offers 360-degree mobility. Moreover, the material used to make the Neotrix charging base are anti-slip silicone padding and anti-scratch. 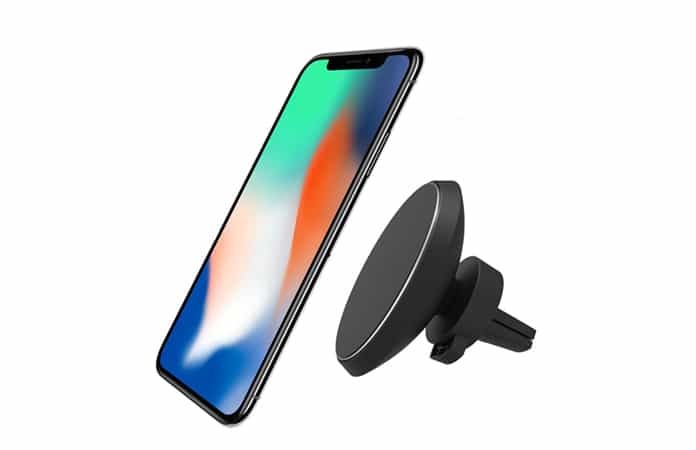 iPosible Qi wireless car charger for iPhone X can be attached to the car’s air vent. It is able to attach itself to the car air vent by using its two bases. Also, with the joint ball you can rotate your iPhone a full 360 degree. iPosible uses a one-touch mechanism to lock and release the iPhone. Using the suction pad and also the air vent mount you can place the Rodzon to any are you prefer. 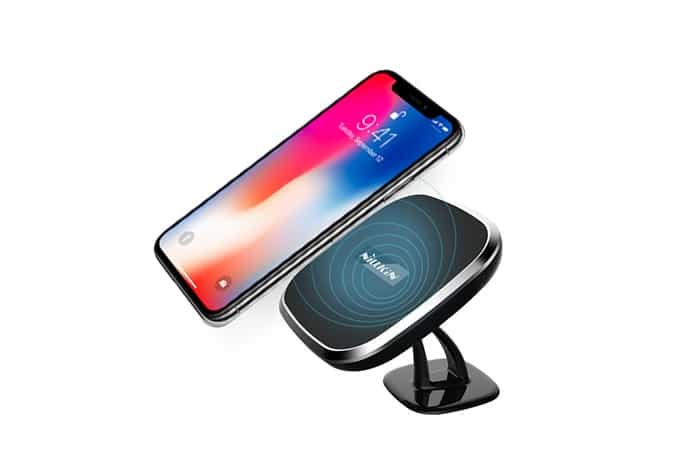 Rodzon wireless car charger also has a 360 degree rotation feature. Hence, you can set up your iPhone view to any position you like. The Scosche Qi wireless car charger does not require a cable to charge your iPhone. 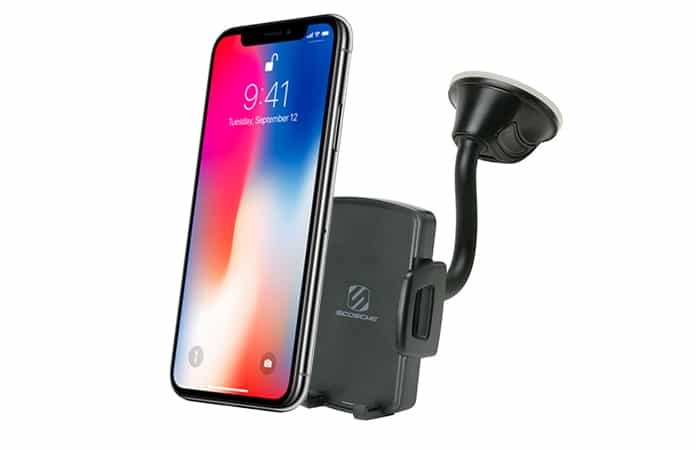 Use its stickGrip suction base to be mounted on any car window or dashboard. It also offers a 360 degree viewing capability. So, you can adjust your iPhone as you please. With its base and two side supports it ensures the secure hold of the iPhone. 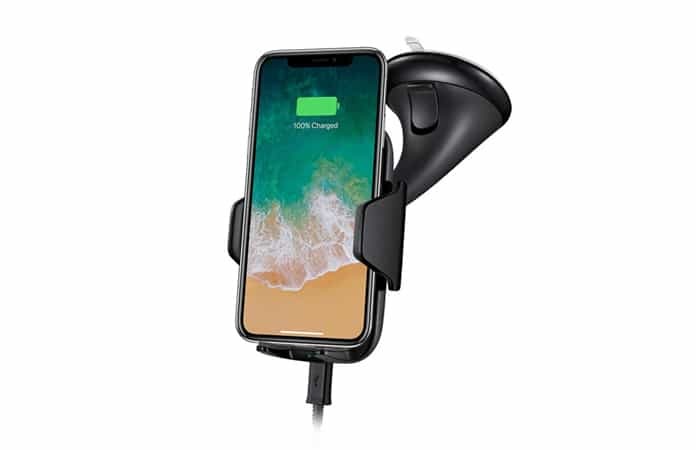 Let us know in the comments below any other Wireless Car Chargers for iPhone X, iPhone 8 and iPhone 8 Plus should be mentioned in the list.